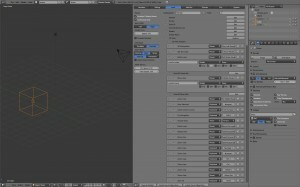 When new in Blender 2.4x I had trouble locating the pan/rotate view setting. 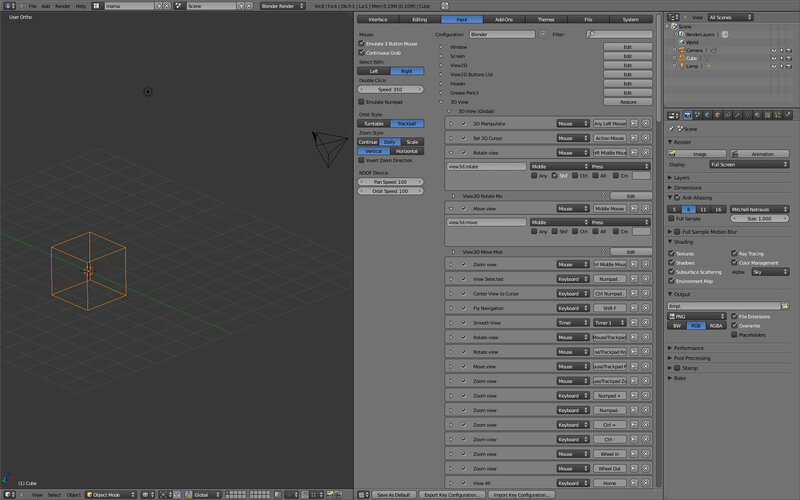 Well this was the first thing I wanted to adjust when opening the new Blender 2.5 and then discovered it is not there. The new Blender is actually more flexible and you can customize about all types of input, only this particular setting has no more an easy to spot button, instead you must dig for it in a long list. Go to the File menu and open User Preferences in a separate window. Click the input tab. I was expecting a button on the left allowing you to change MMB from pan to rotate view like in the old Blender, instead you have to look at the list on the right, first click edit at the right of the 3d view item, then expand it, expand “3d view (global)” and check shift for 3d.rotate and uncheck it for 3d.move. Finally you must save the new setting by pressing “save as default” in the bottom window header. Remember that this saves not only the settings but all you have at that moment in your blender, like window configuration, geometry etc, so take care to make this change right after opening a new file or else clean up your file and arrange it as wished. This is also why you must open UserPreferences in a separate window. I think they should restore this setting to a most visible place. On the other hand it’s nice to see such a customizable interface. I’m not a really picky user and I really didn’t find anything else I needed to change beside the pan/rotate thing but it’s nice to know it’s there.